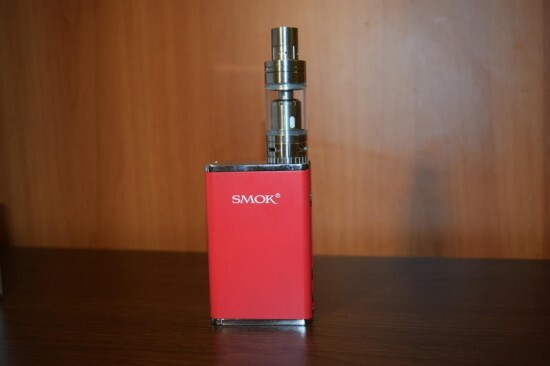 The SMOK R200 is a 200W temperature control mod from Chinese manufacturer SMOK Tech. There are plenty of these devices to choose from nowadays, but what really sets the R200 apart from other high-power mods are its compact size, unusually light weight and very competitive price point. 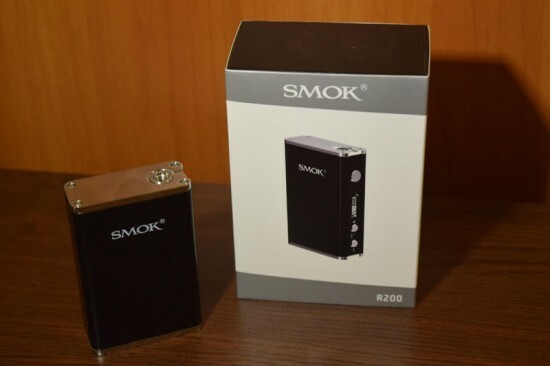 Although the R200 comes in the exact same packaging we’ve come to expect from SMOK, the contents of this particular kit are a bit different. Inside the large cardboard box you can find the mod in one of four available colors (black, silver, white and red), a micro-USB upgrading cable, a safety warning card, a beefy user manual and a backup kit for the TFV4 Mini sub-ohm tank. It was the inclusion of this kit that I personally found a bit odd. If you already own a TFV4 Mini tank, the backup kit allows you to swap the original TFV4 coil heads with two shorty size ones (an 0.3Ω dual Clapton core and an 1.8Ω single Clapton core) as well as the tall glass tube with a shorter one. SMOK claims that doing so will decrease e-liquid consumption – something the TFV4 tank family is notorious for – without sacrificing juice capacity. Even though the new glass tube is shorter than the original, because the coil heads are considerably smaller, the e-liquid capacity of the tank is actually increased by 0.5 ml. Reduced e-liquid consumption and increased capacity for my TFV4 Mini? Please, sign me up! But the thing is the backup kit only benefits vapers who actually own the tank. For everybody else it’s utterly useless. Now, I know that SMOK probably included it as an incentive to go out and buy their tank, but I still find it an odd addition to a mod starter kit. Why not offer the TFV4 Mini backup kit with the actual TFV4 Mini, thus giving users even more customization options? Anyway, it comes with R200, in case you’re interested. Design-wise, the R200 is almost identical to the SMOK R80, which in turn is reminiscent of the old SMOK M80 temperature control mod. The 200 W version is only half a millimiter taller and one millimiter thicker than the 80 W one, making the difference almost invisible to the naked eye. 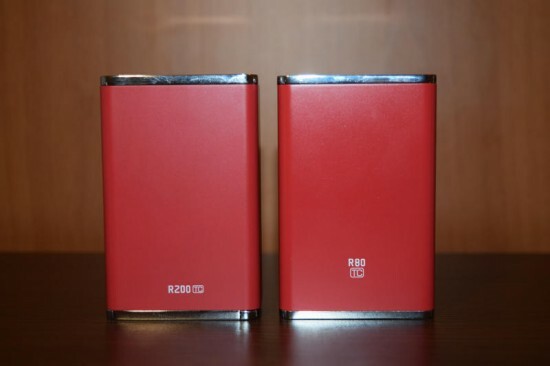 The only other visible differences between the two devices are the lack of a reset button on the SMOK R200 and the addition of a battery door on the bottom, both of which can be explained by the fact that the R200 works with removable 18650 batteries, whereas the R80 has a non-removable 4000 mAh battery. Since the two devices are so similar in shape and size, I’m not going to go into great detail about the design. 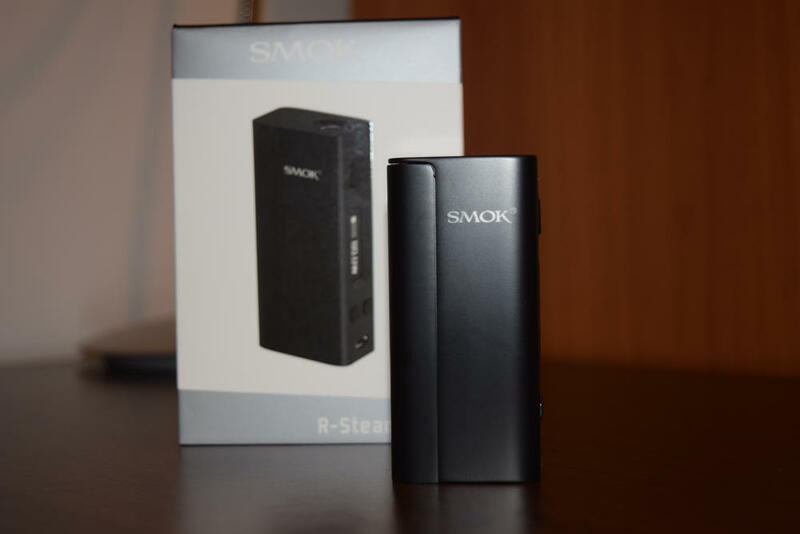 For more info on this subject you can read my review of the SMOK R80. I am going to say that I for one love the elegant high-end look and feel of the R200. It is unusually small and light for the power it can put out making it the stealthiest high-power mod I’ve ever used. Apart from the obvious power output discrepancy between the R80 and R200, the main other difference is the addition of removable batteries to the newer 200 W device. 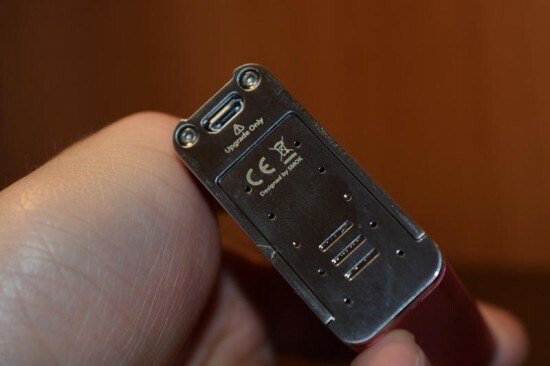 Apparently, a lot of people complained about the sealed battery of the R80, so for their latest offering SMOK went the way of removable 18650 batteries instead. 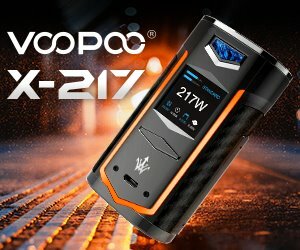 That will undoubtedly count as an improvement for advanced vapers, while at the same time making the SMOK R200 less appealing for intermediate users and beginners. 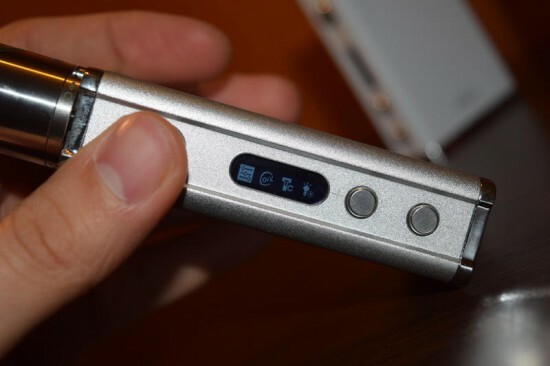 One of the main selling points of the R80 was the built-in battery that could be charged via the included micro-USB cable, but with the R200 you need to buy high-drain batteries separately as well as a smart charger for external charging, as the USB port on the bottom of the device can now only be used for firmware upgrades. While we’re on the subjects of batteries, I would like to mention that I have mixed feelings about the battery door style SMOK implemented on the R200. As a lot of people have noticed, it has its advantages over the sliding magnetic cover used on the X Cube 2 and X Cube Mini – mainly that it locks firmly into place and doesn’t wobble at all – but I personally found it to be very frustrating. First of all, its location on the bottom of the device is all wrong in my opinion. In the three weeks prior to writing this review, I sometimes paired it with one of my RDAs and whenever I needed to change the batteries, I had to unscrew the atomizer because I needed to tilt or turn the device on its head to keep the batteries from falling out, which in turn would have caused the e-liquid to leak. The experience made me appreciate side doors a lot more. 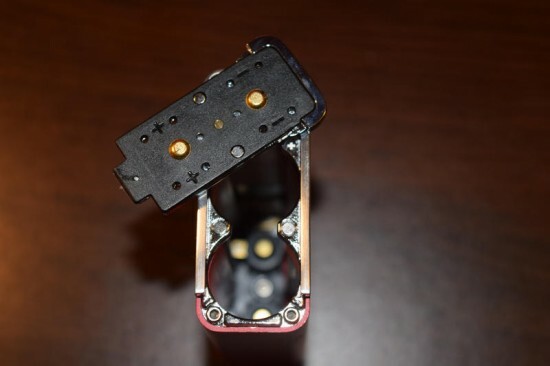 Another thing I didn’t like about this new style of battery door was the struggle to lock it into place after inserting the two 18650 batteries. Both the mod and the door have these grooves you have to align perfectly when sliding it into place, but that’s easier said than done. You have to apply quite a bit of pressure against the batteries while keeping an eye on the alignment and that proved quite frustrating, especially when I was in a hurry to get to work. I just feel that the side covers on the X Cube series were more practical, but maybe it’s just me. The buttons are nice and clicky and, most importantly, they don’t rattle at all. I was sent four units and none of them rattle one bit, which is a significant improvement from the R80. I did notice that these units, unlike others I received from SMOK in the past, were not marked as samples, so maybe that has something to do with the evident improvements in build quiality. The display is decent, but I do wish they made it a bit larger and brighter to make all the data more easily visible, and the menu is easy to navigate and figure out, especially if you’re used SMOK products in the past. The one feature I didn’t really find useful was the time and date setting, which reset every time you take out the batteries. If I were to guess, I’d say SMOK used the same board as on the R80 and didn’t bother to take out this feature, despite its utter uselessness. They could have added a tiny separate battery to keep these settings while you swap batteries, but I guess they didn’t think the trouble of doing so was worth it. Anyway, it’s a secondary function that has nothing to do with vaping, so i’m not even going to count it as a con. I just thought I’d mention it. 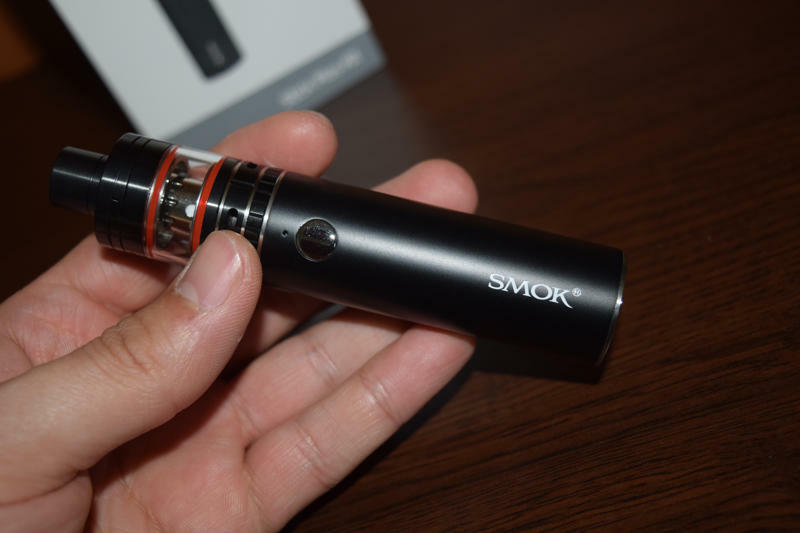 In terms of performance, the SMOK R200 is a beast. I don’t know if it actually does 200 W as I don’t have the equipment to test it, not do I ever vape anywhere close to those numbers for fear of my throat and lungs being obliterated. Normally I vape at around 60 – 70 W, but I took the R200 up to 100 W just out of curiosity. It was a much hotter vape than I was used to, but the device performed great. Like all new-generation SMOK vaporizers, it has five Special Draw Effects – ‘Min.’, ‘Soft’, ‘Norm.’, ‘Hard’ or ‘Max’ – to choose from, allowing you to customize your vaping experience. It’s a feature I haven’t seen on any other mods I’ve tested recently – except Koopor, a sister brand of SMOK – and I miss it every time I switch mods. I can’t imagine anyone actually being able to handle a 200 W vape and I don’t even know if current high-drain batteries can actually be used safely at that extreme setting, but for my needs, the R200 packs more than enough power. In wattage mode, the SMOK R200 fires from 1 W all the way to 200 W/0.8V – 9V and supports resistances from 0.1Ω to 3.0Ω. Scrolling though the wattage values is done with the usual ‘+’ and ‘-‘ buttons in 0.1W increments. You might think it will take forever to go from 1W to 200W, but luckily, it picks up speed the longer you keep one of the buttons pressed. For most advanced vapers, temperature control is one of the most important features a mod can have these days, but I’ve never really been a fan of it, and with all the controversy regarding soft materials like Ni200 leeching at high temperatures, I’ve stopped using it completely. It’s all speculation at this point, but until we get some scientific confirmation, I feel it’s just not worth the risk. 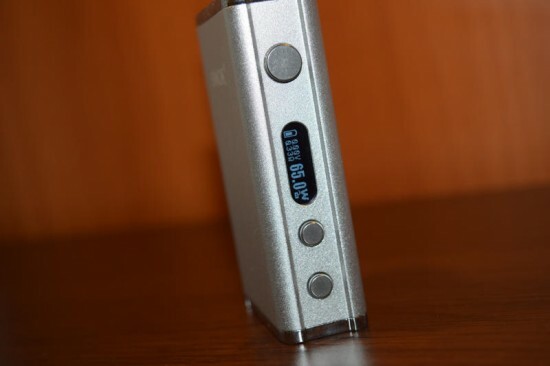 For those of you who do enjoy vaping in temperature control mode, I will mention that the SMOK R200 supports nickel, titanium and stainless steel builds, and, just like the R80, successfully passes the cotton burn test, which makes sense since both devices use the same circuit board and algorithms. In temp control mode, the R200 has a temperature range of 200°F-600°F/100°C-315°C and supports resistances between 0.06Ω and 2.0Ω. 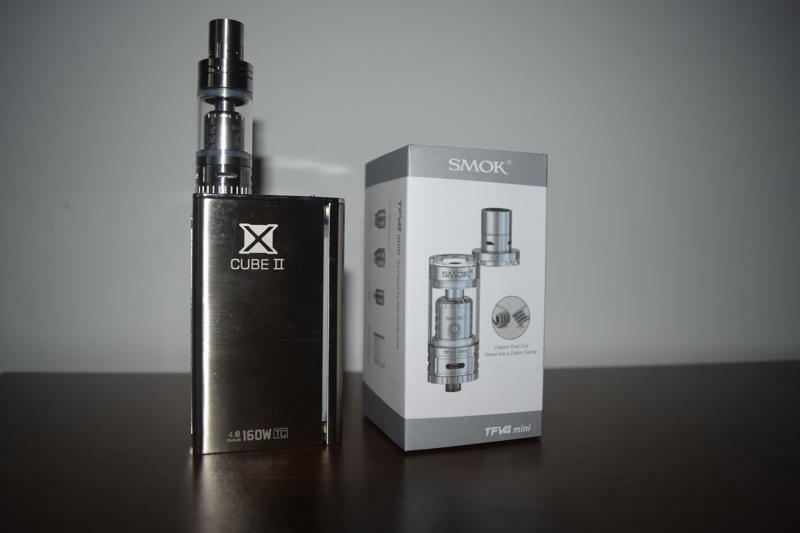 Having tried every device SMOK has launched in the last year beginning with the X Cube 2, I can say without a doubt that the R200 is their best offering yet. It has an appealing minimalist design and high-quality feel, and despite boasting the highest power output of all SMOK mods it is incredibly compact and light. It’s not perfect, but the few flaws I’ve listed above don’t really affect the stellar performance of the mod, and can easily be addressed in a future version. Last but not least, the price of the R200 is just insane. For just $49.95 you get a 200 W device that does temperature control, supports Ni200, titanium and stainless steel, and is packed full of useful features. Did I mention how nice it looks and feels in your hand? You just can’t get a better deal than this. After reading your review I got a Smok R200. I love the Smok R200, and I had an eVic VTC mini which I still use now and then. If you’re on the fence, go for it. Smok R200 is great. A pain to change battery as review mentioned and also not as intuitive to change coil settings when you change coil. But overall a great buy. Thx for the review. the date and time issues been fixed with a firmware update. Go to the smok website or google it. Anyone else having their entire settings erased everytime, they change batteries? Sure it was just the clock on v0003. Is there a way to revert to previous firmware. Sick of having to change my Tcr everytime. That shouldn’t be happening. I’m still using the R200 on a regular basis and I’ve never had this problem. The only thing that does need a reset every time you change the batteries is the clock. So all of you bitching about it not working, Clearly you’re retarded. 1. 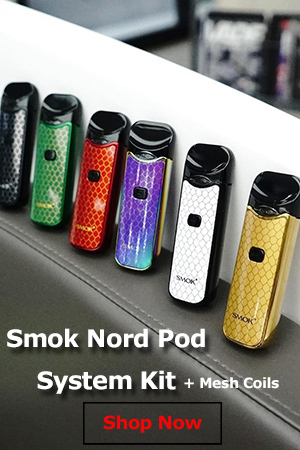 Download from Smok’s site. 5. Run the 0004 update. It removes the stupid time feature, and only gives you the 5x Click to unlock screen now. You cant buy a replacement door for the R200. It holds two batteries as you may know, when i charged both my batteries to 100% I put them into my Smok 200w tc and after hitting it for about 2 seconds it says “week battery” does anyone know how to get around this issue? If I had to guess, either you’re not using high-drain batteries (20 Amps or more), or your coil resistance is way too low. Of course, it could be a device problem, but it’s unlikely. I just purchased the Smok R200 TC box mod the other day, it hasnt arrived to me yet but i thought at first that it came with the TFV4 mini. The site i bought it from described it in a way thst made you think it came with the mod. Anyway, i ended up purchasing the TFV4 & the Family Core kit with every style TFV4 coil they make for it, even the RTA’s. I cant wait to vape on them all when i receive them. Ill be ordering the TFV4 mini soon too, so i can use the TFV4 Shorty kit that cones with the R200 box mod. Thanks for the review to help me better understand the R200. Btw, i own the Smok H-Priv box mod & im a master at changing my batteries out & dealing with the battery door….its easy after you get used to it….it becomes second nature. Glad to hear my review was informative. Enjoy the R200 and TFV4, they are definitely two of my favorite vaping products ever. And I love the H-Priv too, I was just comparing the battery door with better systems out there (and there are plenty). It’s not a huge con, I just thought they could have implemented a better battery door on an otherwise great device. Cheers! By far this is the best mod I have ever owned. I have been vaping since it started. I love to do crazy builds in the very low sub ohm category and this device doesn’t stress it. I have never even gone up to 100 watts so having the 200 isn’t exactly necessary but I love it. Everything about it. You can even adjust your ohms if they are reading incorrectly. So many awesome settings that I have never seen in other devices. Smok hit a home run with this box mod. it does it by itself, please don’t mess with the resistance (ohms) setting unless you really know what you’re doing!